Thomas Edward Clark, 56, passed peacefully away on Tuesday, January 8, 2019 at the John F. Keever Solace Center. Thomas was a native of Asheville and a son of the late Edward Thomas and Annie Mae Tolbert Clark. He attended the Asheville City schools. Thomas was formerly employed as a cook with UNC Asheville. He enjoyed a variety of music and was a fan of the Pittsburgh Steelers. Thomas was preceded in death by sisters, Linda Ingram and Remona Pearcy; brothers, John Henry Clark (Bibbus) and Coleman Thomas Clark. 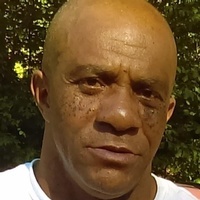 Surviving family to cherish his memory include his companion and wife of 30 years, Sabrina Ellerby Clark; son, Thomas Clark, Jr; daughters, Zandra Smith, Syleeta Wallace, Tequia Clark and Maleeka Reynolds; sisters, Ruby Ray, Ann Clark, and Johnnie Mae Clark; brother, James Neil Clark; grandchildren, Xavier, Zavian, Ezra, Karai, Jalen, Willie, Jr. and Sage; several nieces and nephews; other relatives and friends.